Installing Solar PV onto your home, offices or factory can be very confusing, there is a lot of terminology to understand and also a lot of questions that come up. Find answers to frequently asked questions about Solar PV. If you have a question about Solar Photovoltaics not covered here then get in touch and we’d be happy to help answer it. Why should I buy from Electrasolar? We are an experienced, independent Solar PV installer who fit high quality/high value Solar PV systems. We realise that installing Solar PV is a large commitment for most people, and operate on a basis of trust and honesty. If you’d like help or advice, or a no-obligation quote, please get in touch, we’d be delighted to hear from you. Do solar PV panels require any maintenance? Generally no, although an inspection by a certified Solar PV installation company every 5 years may offer you reassurance. See our page on Solar PV Maintenance. Do solar PV panels require cleaning? No. Solar Panels above a slope angle of 15 degrees (i.e. 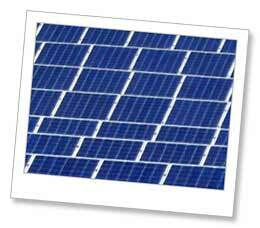 most solar panels) are deemed to be self-cleaning. See our page on Solar PV Maintenance. Unless your building is in a conservation area you do not usually require planning permission. In all cases we recommend that you speak to your local authority to confirm you individual situation. Contact us for further information or see the Energy Saving Trust website. How long will it take to install Solar Panels? This depends on the Solar PV system type and size of installation, along with the specific requirements of your site installation, but generally between 2 to 4 days. Solar PV Feed in Tariffs are guaranteed by the government for 20 years. They are also index linked to the retail price index. This depends on the system type and size, and can vary according to the specific requirements of your individual installation, but generally it will vary between approximately £3,000 and £8,000 for systems ranging from 2kWh to 4kWh. Contact us for a full no obligation quotation. Solar panels generally do not fail, and are guaranteed not to do so for 25 years. However, they do gradually lose efficiency over time, for which they are guaranteed not to drop below 90% efficiency after 10 years and 80% efficiency after 25 years. You can expect a good long term investment from the Solar Panels that we fit to your roof, especially with pay back periods between 7 – 10 years. Our solar panels are guaranteed for 25 years, with an efficiency guarantee of 90% after 10 years and 80% after 25 years. The inverter – the most sophisticated component of a Solar PV installation – is guaranteed for 5 years, but this can be extended up to 25 years. Can I improve the efficiency of my Solar PV Panels? What size system can I have? This depends on various factors such as the space available, whether you want to try to reduce your energy bill to zero or just offset it, and the budget you have available. Generally, on a domestic property, the maximum installation size is up to 4Kwh, which is also the threshold for the maximum Feed in Tariff (FiT). Any system size is possible, however, please contact us for a full no-obligation quotation. Will fitting solar panels to my house add to its resale value? Yes. Given the proven, and guaranteed income available through Feed in Tariffs and the long life of Solar PV installations, people are very attracted to houses with Solar Photovoltaics installed. Some people may need a little help to understand solar PV, Feed in Tariffs etc, but the handy post-installation pack that we give to each customer will certainly help. Can you fit solar panels over soil pipe vents in my roof? If you have a small brown mushroom on your roof that acts as a soil pipe vent, this can be replaced by a low profile vent tile and solar panels fitted over the area. Feed in Tariffs are paid from a supplement added to everybody’s electricity bills, not by the government, but they are guaranteed by the government for 20 years and index-linked to the Retail Price Index.